The family of a British woman missing after the New Zealand earthquake have spoken of their agonising wait to learn whether she was among the dead. 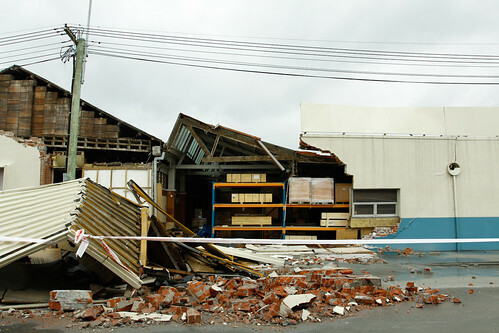 Susan Selway was in her fourth floor office in the Canterbury Television building, which was struck when tremors tore through the city of Christchurch on the South Island earlier this week. Ms Selway, a clinical psychologist who celebrated her 50th birthday this month, was working in the building temporarily after her previous office was badly damaged in the last earthquake to hit the area in September. Her husband, financial adviser Richard Austin, rushed to her workplace after hearing the news and waited all night with his brother David in the hope of seeing her walk out of the building alive. Meanwhile, her father Malcolm Selway, 72, from Henley-on-Thames in Oxfordshire, had just returned to Britain after a trip to New Zealand but took the first plane back there to look for his daughter. His wife Linda Selway said: "It's absolutely awful. Her old office building was condemned after the last earthquake but it wasn't hit this time and if she had been there she would have been alright." The death toll in the quake has risen to 113, with British chef Gregory Tobin, 25, from Tadcaster, North Yorkshire, confirmed among the dead. Tributes have also been paid to Irishman Eoin McKenna, a psychiatric nurse from Monaghan county, who died when his car was crushed by falling debris. Rescuers continued to search for another Irishman who worked in a building that collapsed when the quake struck. He has been named locally as JJ O'Connor, from Co Kerry, an accountant in the Pyne Gould Guinness (PGG) Building in Christchurch. Some 228 people are still missing after the 6.3-magnitude quake and hopes of pulling anyone else out of the rubble alive have diminished. British High Commission spokesman Chris Harrington said two more British men are believed to be among the missing after they got on a bus that was later crushed by falling masonry. Mr Harrington added that an injured Briton, who is in Christchurch Hospital after suffering a fractured skull, broken clavicle and broken ribs, is expected to make a full recovery. Copyright (c) Press Association Ltd. 2010, All Rights Reserved.